There can’t be too many organisations who have their annual conference in London’s Oxford Street. 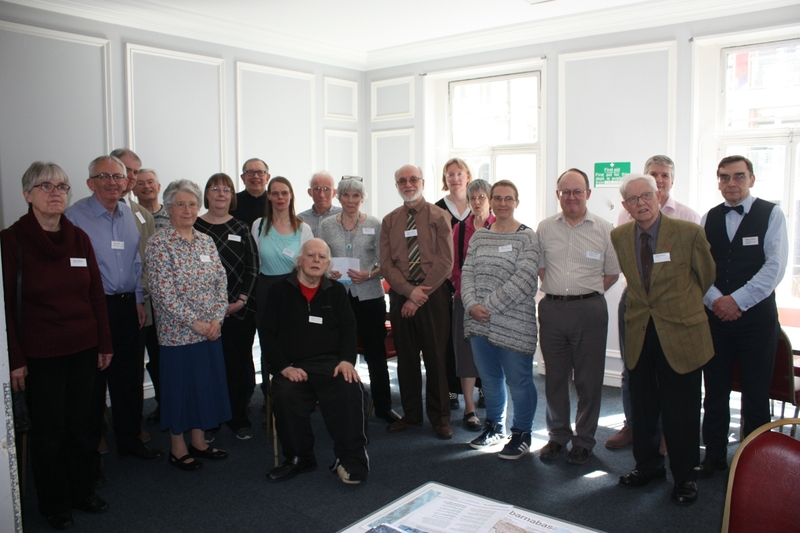 Twice in three years now, CLIS has conducted its main event at the Salvation Army’s Regent Hall, literally a stone’s throw from Oxford Circus. 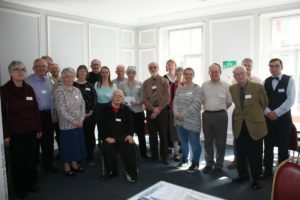 There on a warm April day we gathered for our AGM and to hear two excellent talks both of which could hardly have been more topical at the time. There was also a short act of worship, featuring some boldy sung hymns, and time to meet and chat with other delegates. Just a few weeks before the conference, there was some sad news that our former President and Vice-President, Margaret Keeling had died. Prayers were said for her family, and we were reminded of her warmth as a person, and of her very significant contribution to CLIS. 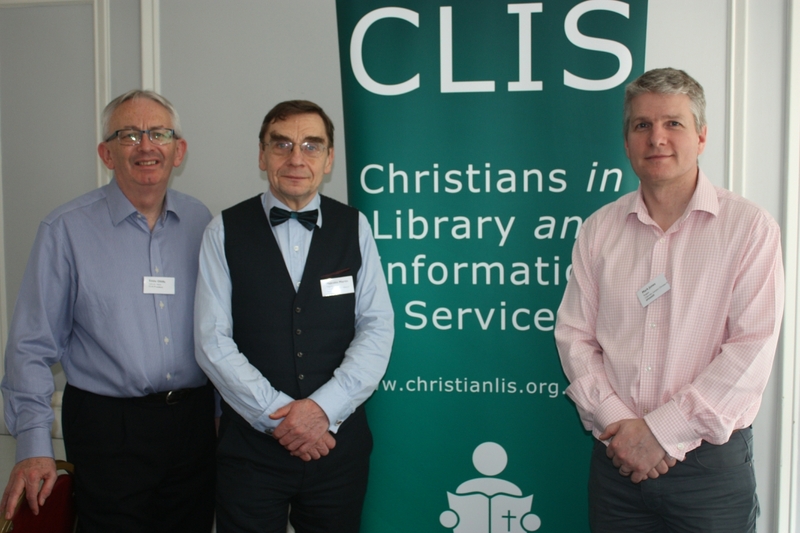 As a former head of public library services in Staffordshire, and then Essex, she had many years of experience to draw upon, and we were grateful for her wisdom, empathy and sense in a number of situations, both as a CLIS leader and as a past conference speaker. It was fitting then that our first speaker had some particularly practical advice to share with us. Mark Jones from the Lawyers’ Christian Fellowship had as his title ‘Gospel freedom and the workplace‘. I confess I wondered if the talk would cover some high-profile disputes over religious expression, with an emphasis on the difficulties Christians sometimes face. This was not the case, though; his talk was more about what the law currently permits, and how we can continue to maintain our Christian witness without fear.He acknowledged that there had been good cases lost in the courts, but pointed out that other losses were the result of bad cases. It came as a surprise to most of us, I think, to learn that there are serious financial penalties for employers who discriminate unfairly on grounds of religion, more so than for example, on age. Some other key points were the need for us to be gentle and respectful, not pressing Christian doctrine when colleagues don’t wish to talk about it (which could be deemed harassment); yet to be straightforward and transparent, as the more unusual it becomes for people to mention matters of faith, the less acceptable it will be as far as the law is concerned. There were a number of questions which followed. It was asked if it was ever right to talk to clients or customers about beliefs; Mark Jones said it could be, but it was necessary to be even more winsome than with colleagues, and to bear in mind the appropriate boundaries. Could Christian organisations ask for a Christian in a job ad? Yes, so long as the nature of the job itself required it. What was the difference between being offended and harassment? The law clearly indicates that it is a matter of perception, but the complaint still has to be reasonable to be upheld. How do people from other religions deal with our laws? This depends very much on their religious calling, and on their own response to the rule of law. After an ample buffet, which was included in our conference fee, Malcolm Martin from the Christian People’s Alliance spoke on ‘What is truth and how do we know it?‘ He pointed out that fake news starts with a story which gains credibility; is also based on what the listeners or readers would like to believe (or would suspect is the case); and which is then confirmed by others, creating what is called an ‘echo’. It is the combination of these three elements which determines how big an effect the news story will have. We were shown a series of hoaxes, from the amusing if astonishing pictures of a super-giant anaconda in the Amazon, to Alex Malarkey’s book The Boy who came back from Heaven which, to the sadness of many, had turned out to be fiction. But it is the world of sensational news stories, often picked up across social media in the first place, which presents us with a particular problem, because in most cases the source of the story is unknown or disguised. Fortunately, web addresses can be monitored for activity, and this tends to show up suspect sources: those which are active twenty-four hours a day, seven days a week, clearly can’t come from an individual, and may even be automated so as to provide a stream of news designed to alter perceptions. Most of us don’t have that kind of monitoring technology, but Malcolm Martin was able to give us some pointers to help us spot fake news: pronouncements of outright denial, stories designed to create or amplify conflict, and perhaps most obviously, prose in poor English should be all treated with caution. The issue of state-sponsored counterfeit news and cyber-crime came up at various stages, and unsurprisingly this drew a number of responses. One delegate pointed out that in the Times newspaper that day, a lecturer from a UK university had agreed with the Russian view that the recent chemical bombing in Syria was a western strategy. Another person asked whether the Russian involvement in the Skripal poisoning had actually been proven. What about fake news before the internet? This topic was picked up by someone who remembered the claim and counter-claim surrounding the assassination of President Kennedy. The speaker felt that in some cases we could stand back and see clear evidence for responsibility and notice the tell-tale signs of fake news where we can. And what about us as Christians? Are we prone to gullibility? It was pointed out that some Christians had made much of the report of a ‘lost day’ in the solar system, attributed to NASA, as a confirmation of an Old Testament account of the sun standing still. We do well to be circumspect, it seems. The day was rounded off by our new President, Richard Waller, giving a vote of thanks. He reinforced the tribute given in the AGM to Eddie Olliffe for his outstanding leadership of CLIS, particularly when Graham Hedges was in hospital. Graham in turn was thanked for his efforts in arranging the day, and not least for his continuing work as Secretary and Editor of our publication, which has now reached the forty year milestone. As always, back issues of Christian Librarian were on display for people to take away. Another excellent conference thus ended, giving us questions to ponder and much to reflect on, not least in the worship time when Karen Hans had reminded us how difficult it is to be a Christian in some countries.The presence of petitions on the information desks reminded us that we shouldn’t take what we have for granted, and that we can still have a workplace Christian organisation. 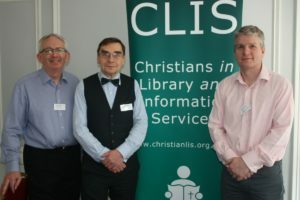 Robert Foster, BA, DipIM, MCLIP, is Chair of Christians in Library and Information Services and works as an Assistant Librarian at the Royal College of Music.